“We will not interfere with the High Court order. We see no merit”, ruled a bench of Justices Pinaki Chandra Ghose and U U Lalit. Kejriwal had approached the apex court against the October 20 order of the Delhi High Court refusing to give him relief. Appearing for Kejriwal, veteran lawyer Ram Jethmalani had argued that criminal proceedings before a trial court should be stayed since a civil suit was already pending before the Delhi High Court and both could not proceed simultaneously. “Two cases have been filed simultaneously on the same facts and circumstance which amounted to double jeopardy and he would be tried twice for the same offence. Generally in this situation the criminal proceedings are stayed. Parallel proceedings could not be held. So I strongly urge criminal trial be postponed till the civil proceedings in the high court were concluded” argued Jethmalani. 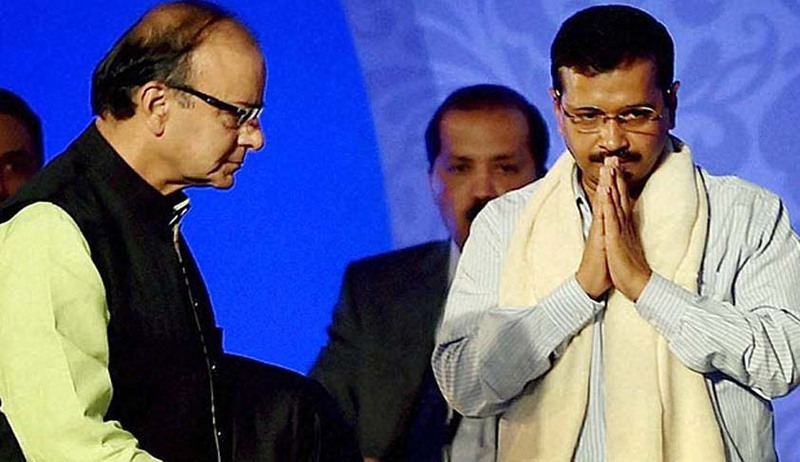 Jaitley has filed civil and criminal defamation cases against Kejriwal and five others of the Aam Aadmi Party for accusing him of corruption linked to Delhi's cricket body DDCA, which he headed for 13 years till 2013. In the civil suit, Jaitley has demanded Rs. 10 crore in damages. Justice Lalit asked Jethmalani to cite a judgment which said that when civil and criminal proceedings are pending, civil case should take precedence and criminal proceedings should be stayed. Then Jethmalani told the court that “therefore I am saying this is a wonderful opportunity for your lordship to lay down a law regarding this”. A HC bench of Justice PS Teji in a 30-page judgment had dismissed the plea and has said that the civil defamation suit filed by Jaitley before the Delhi High Court and the criminal defamation complaint before the trial court were “separate proceedings”. “Nothing have been brought before this court to the effect that continuation of criminal proceedings is abuse of the process of law before the CMM and any order is required by this court to secure the ends of justice. Thus, this court is of the view that the order of the CMM, dated May 19, 2016 continuing with the proceedings is free from perversity, impropriety, illegality and non-sustainability which compelled this court to exercise the inherent jurisdiction under Section 482 Cr PC,” the court had said.